The University has developed a £1billion Estate Masterplan Strategy, outlining the vision for its estate over the next fifteen years and beyond. The Masterplan includes a wide range of proposals on all aspects of the estate. It includes a number of building projects which have been announced in recent months, such as the Digital Innovation Facility and the Arts and Humanities Centre, as well as a range of proposed new builds and redevelopment projects to enhance teaching, research and impact and student life space on the University’s campuses. Staff, students, stakeholders and members of the public are invited to feedback on these proposals between Monday 29 April and Friday 10 May. The University’s Vice-Chancellor, Professor Dame Janet Beer, said, “We are proud of our place in the City and of our architectural heritage. Our plans are sensitive to this and provide exciting new opportunities to further enhance the appearance of our campuses and their surroundings. The Masterplan proposes introducing a new central green on the Liverpool campus, together with plans to revitalise existing courtyards. It also includes a commitment to becoming a 1,000 tree campus, with a carefully devised public realm vision to support the University’s commitments to sustainability and wellbeing. 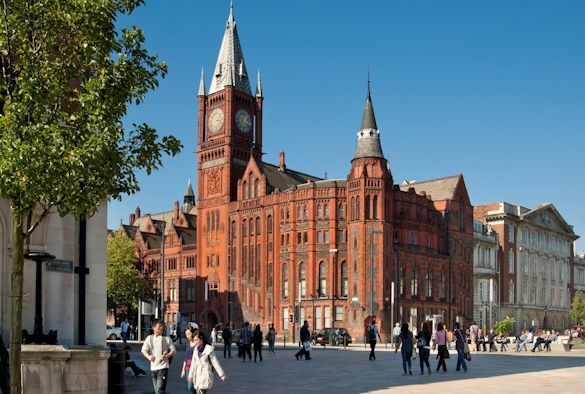 To achieve this, the Masterplan includes proposals to remove small, disparate car parks in the centre of the Liverpool campus and replace these with three multi-storey car parks towards its perimeter. There are also plans to invest in sustainable travel options. The proposals also include plans to improve accessibility and further promote equality, diversity and inclusivity on campus. Consultation displays providing more details on the Masterplan will be on show from Monday 29 April to Friday 10 May on the ground floor of the Guild of Students’ building (the Street). Staff from the University’s Facilities, Residential and Commercial Services team and the Masterplan’s architects, Feilden Clegg Bradley Studios, will be available 12-1pm and 2-3pm on Wednesday 1 May and Friday 10 May in this location to answer questions and hear feedback. In addition, a specific feedback session for the general public will take place on Wednesday 1 May, 5-7pm in the Bronte Youth and Community Centre, Trowbridge St.
Consultation displays will also be available at the Leahurst campus and more details will follow on this shortly. Webpages with details on the Masterplan and a feedback form will also launch on Monday 29 April.